We've heard lots of you and are listening.... The jewelry deals are quite the hit this year! 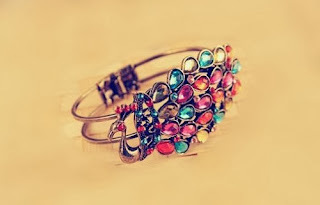 Amazon has this super fun Vintage Colorful Crystal Peacock Bangle Bracelet for ONLY $1.30 Shipped right now. Super steals like this make GREAT gifts!